Is this the path to quick feet? When it comes to enhancing sports performance, coaches, parents of athletes and athletes all seem to want the same thing – quick feet. The problem with this goal is that athletes usually go about it the wrong way. Most of the time athletes spend too much training time working on quick feet instead of working on a quick body. When I started working as a University strength coach in the early 2000’s, the big trend was SAQ (speed, agility quickness) training. As a result, we would set up ladders and have athletes do all sorts of quick-feet ladder drills. While quick feet drills can have some value in certain contexts, the problem with using things like ladder drills is that the feet move at an amazing speed, but the body moves across the ladder at a slow pace. In sports the important thing is not how quickly you move your feet, but on how quickly can you move your body from point A to point B. One thing that has been enlightening for me with understanding the quick feet problem is performance testing with our athletes. A classic example is a short sprint (e.g. 20 meters or less). Because we have an electronic timer, during the testing there is really not much for me to do besides stand there and read the number from the timer to the person recording the data. So, while the athletes are doing their sprint tests, I spend that time analyzing sprint mechanics. What I discovered is that some athletes look really fast – until you look at their time. Other athletes look really slow – until you look at their time. The thing quickness and agility is that they require starting and stopping. While some athletes are naturally fast once they get to top speed, to improve starting and stopping speed, you need to get stronger. Getting stronger is one of the most important things you can do for quickness. The stronger you are in relation to your body weight and size, the easier and faster you can move your body around. However all too often proper strength training is mistakenly replaced with more ladder drills. In addition to getting stronger, athletes who are carrying extra body fat can also get quicker by getting leaner – if they go about it the correct way. 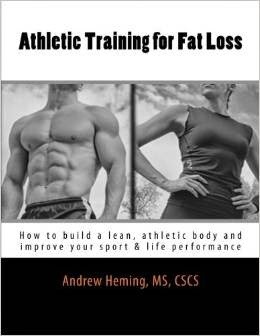 When proper nutrition is combined with proper strength training and other athletic exercise such as sprints, you can get “athletic lean”. In getting leaner you improve your strength-to-weight ratio and this improves your speed and quickness. 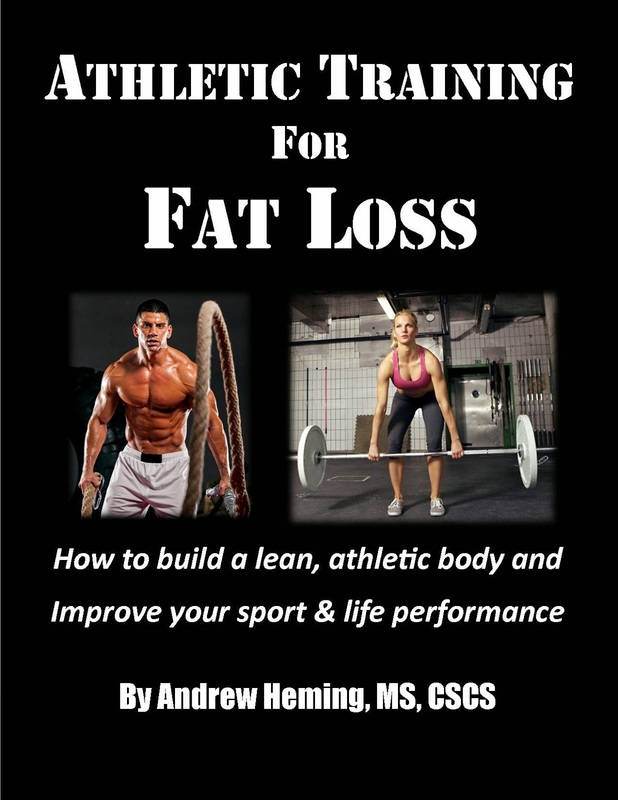 For a complete guide to getting athletic lean check out my book: Athletic Training for Fat Loss. With ladder training you become really good at doing ladders. However, to my knowledge there are no agility ladder drill competitions. Ladder-specific skills are not that transferable to other sports (again because most sports require you to move your body quickly – not just your feet). A better approach is to spend more time working on the actual footwork drills that are used in your sport. For example, a soccer player should work on ball-handling drills. A basketball player should work on defence slides. A volleyball player should work on the lateral movement used during blocking. This is best done under the watchful eye of a sport coach. Now, all of what I have written above is not to say that you should never do speed and quickness drills. However, you want to select drills that get your body move quickly – not just your feet. One excellent example is tag. Yes, you remember the days of elementary school when you used to play tag? Tag is excellent for quickness because it get you moving your feet and your body very quickly in a variety of directions and in unpredictable environment (note: this unplanned nature of drills/games such as tag is much more like real sports than running a specific pattern on a ladder). If you do not have a partner, another great drill is using one of those reaction balls and tossing it up into the air and then trying to catch it after a certain number of bounces. Another excellent drill for quick feet is a court sport like badminton. This gets you again moving your feet and body quickly in an unplanned environment. One great feature of both tag and badminton is that provide a competitive environment. This not only make is more sport-like, but enhances the nervous system and allows you to move at an even faster rate than you would in a training drill. In addition to these drills, short distance sprinting (e.g. 10 meters or less) is great for learning to accelerate faster and get from point A to point B. For team-sport athletes, practice starting in a variety of positions (e.g. from an athletic position, backwards, sideways, lying on your stomach on the ground) as you will not start like a track star in your sport. Emphasize quality over quantity. It is not how many sets or different speed drills you do, but the quality of each set. With speed training, less is more. Stop when you see a performance decrease. If you start to feel tired or slow or notice your times getting worse, it is time to stop the speed training for that day. As with everything is sports and life, there really is no quick, easy fix to lack of quickness. However, now you know the truth about quick feet and what it really takes to get faster body and dominate your competition. If you live near the Langley, BC area, I'm teaming up with Ryan Jobs this summer to run some high performance training sessions and workshops. Learn how to build explosive speed, strength and power! For more information, check out Coastal Athletics.